Earth Changes is a hot topic to consider with the arrival of the coming Messiah. Consider the fact that in the 6th Seal of Revelation, the biblical texts states with all its literal intent, “on that day, all mountains and all islands will move out of place”. Remembering the 9.1 magnitude earthquake and tsunami that occurred in the Indian Ocean on December 25, 2004, the Island of Sumatra was moved out of place. Also all the seismographs were going berserk around the world. This was a global earthquake. Yet, at the coming of the Messiah in the 7th trumpet plague in the 7th Seal of Revelation, it states that “all mountains and all islands will disappear”. How can we spiritualize these texts away in order to diminish their literal and physical intent? The San Francisco Earthquake in 1906 that was seen in a predictive and apocalyptic dream by a prophetic visionary called Ellen G. White was only 7.7 magnitude earthquake in strength, 33 times less powerful than the 2004 Indonesian Tsunami Earthquake. Yet, the projected the Great Earthquake of the 6th Seal, where all the mountains and islands are moved vertically or horizontally are projected to be triggered by a global 13-15 Mw mega-quake, that would be 28,629,151 times more powerful than the San Francisco quake. This is stunning to even project. The current study of BibleSearchers looking at the earth changes that could be produced by the December, 2012 Mayan End of the Age and the potential arrival of our Sun’s twin binary star into our solar system, suggests with all its literal projections that the final events before the coming of the Messiah is now at hand. We are in the days of tribulation. The first three seals of Revelation have already occurred and the 4th is on the horizon – world drought and famine. For the first time in history, with the arrival of our Solar System’s Twin Binary Dark Star, we now can envision the astrophysical science that may give us the physical or terrestrial mechanisms that could produce the mega-earthquake, volcanic eruptions including the potential mega-supervolcano eruption from Yellowstone demanded by a literal translation of the 6th Seal and the Seven last plagues of Revelation. Yellowstone it appears is now believed to be one mega-cauldron that includes the "Seven Sisters" Volcanoes in the Pacific Northwest – Mount Baker, Glacier Peak, Mount Rainer, Mount St. Helens, Mount Adams, Mount Hood and Mount Jefferson. What about Hawaii? Are all volcano plumes interconnected around our globe? Those are key findings in four National Science Foundation-funded studies in the latest issue of the Journal of Volcanology and Geothermal Research. The studies were led by Robert B. Smith, research professor and professor emeritus of geophysics at the University of Utah and coordinating scientist for the Yellowstone Volcano Observatory. "We have a clear image, using seismic waves from earthquakes, showing a mantle plume that extends from beneath Yellowstone,'' Smith says. The plume angles downward 150 miles to the west-northwest of Yellowstone and reaches a depth of at least 410 miles, Smith says. The study estimates the plume is mostly hot rock, with 1 percent to 2 percent molten rock in sponge-like voids within the hot rock…These eruptions were 2,500, 280 and 1,000 times bigger, respectively, than the 1980 eruption of Mount St. Helens. The eruptions covered as much as half the continental United States with inches to feet of volcanic ash. The Yellowstone caldera, 40 miles by 25 miles, is the remnant of that last giant eruption… That is the base of the global transition zone -- from 250 miles to 410 miles deep -- that is the boundary between the upper and lower mantle -- the layers below Earth's crust. At that depth, the plume is about 410 miles beneath the town of Wisdom, Mont., which is 150 miles west-northwest of Yellowstone, says Smith. He says "it wouldn't surprise me" if the plume extends even deeper, perhaps originating from the core-mantle boundary some 1,800 miles deep. Click to continue Reading the Entire Article in Science Daily. According to a centuries-old rabbinical prophecy that appears to be coming true, on March 16, 2010, Israel will begin construction of the Third Temple in Jerusalem. During the 18th century, the Vilna Gaon, a respected rabbinical authority, prophesied that the Hurva Synagogue in Jerusalem, which was built during his day, would be destroyed and rebuilt twice, and that when the Hurva was completed for the third time, construction on the Third Temple would begin. The Hurva Synagogue was first destroyed shortly after its initial construction when Muslims demanding the return of loans tore it down. The synagogue was rebuilt a hundred years later and became the most important Jewish house of worship in the Holy Land, only be blown to pieces by Jordanian troops during Israel’s 1948 War of Independence. Let Us Sing unto the Lord! The first command by the G-d of Creation to His unique creations, Adam and Eve, was to “Be fruitful and multiply”. Such is the sanctity of life and the unique privilege to recreate a human in “our own image”. That sanctity of human life and reproduction is about to relegated to government pogroms dependent not on the commands of the Divine but on “global international interests.” Read below with your spiritual “eyes” wide open. World Net Daily – “Want to reduce carbon emissions and curb global warming? Global warming believers say you should stop having babies. China has declared that controlling population growth is the final solution to climate change. This pronouncement officially linked the zeal for population control with climate hysteria, surfacing an issue that has been quietly at the heart of Malthusian writings since Obama science czar John Holdren began writing college textbooks on "Eco-science" with Paul Ehrlich of "Population Bomb" infamy. · More people create more carbon dioxide. · The final solution therefore is to eliminate people. · Quod erat demonstrandum: Have fewer babies to save the planet, regardless of what extreme measures have to be taken, including government-forced sterilization and compulsory government-ordered abortion. The days are gone when words were spoken hushed in small gatherings as we envisioned the rise of the evil empire at the end of the day. The day of the Anti-Messiah, the era of world governance were written about in esoteric prophetic articles cloaked in apocalyptic literature. Those days are gone. What was once relegated to conspiracy theorists is now mainstream media news – the words, New World Order is now front page news. If you have “eyes that can see” then the days spoken of the prophets has now risen on a “global horizon”. Some of this was sheer hokum: when uttered by Gordon Brown, the word "global", as in "global economic crisis", meant: "It's not my fault". To the extent that the word had intelligible meaning, it also had political ramifications that were scarcely examined by those who bandied it about with such ponderous self-importance. The mere utterance of it was assumed to sweep away any consideration of what was once assumed to be the most basic principle of modern democracy: that elected national governments are responsible to their own people – that the right to govern derives from the consent of the electorate. Nor was much consideration given to the logical conclusion of all this grandiose talk of global consensus as unquestionably desirable: if there was no popular choice about approving supranational "legally binding agreements", what would happen to dissenters who did not accept their premises (on climate change, for example) when there was no possibility of fleeing to another country in protest? Was this to be regarded as the emergence of world government? Genesis 12:6-7 – “Abram passed through the land to the place of Shechem, as far as the terebinth tree of Moreh. And the Canaanites were then in the land. Then the Lord appeared to Abram and said, "To your descendants I will give this land." And there he built an altar to the LORD, who had appeared to him. Genesis 50:24 – “And Joseph said to his brethren, "I am dying; but G-d will surely visit you, and bring you out of this land to theland of which He swore to Abraham, to Isaac, and to Jacob." Exodus 6:8 – “Then the Lord (Adonai) said to Moses…say to the Children of Israel…I will bring you into the land which I swore to give to Abraham, Isaac, and Jacob; and I will give it to you as a heritage: I am the Lord.’"
One of the main obstacles in the creation of a Palestinian State in the Land of Israel is that the ancestral people of modern Palestinians were the ancient Philistines who were always tribal enemies of Israel. Embedded within the matrix of this land that was promised to the descendants of the Patriarch Abraham, Isaac, and Jacob, reside also the remnants of the Amalekites who as a wandering Bedouin tribe had a genetically bred hatred to the Children of Israel. Notwithstanding, these ancient peoples have intermingled over the centuries, and today, many of them consider themselves to be one. The rest of the gentile world are considering geo-political options to achieve peace between the feuding families of two warring brothers, one of which was unwilling to accept that the “Birthright Blessing” was legally given to the other. Yet, these nations are considering political options that they would never consider to institute within their own countries, to give disputed territories resided in the midst of their sovereign country, until today. It was tried once by the Europeans when they forced the Czechoslovakian government to allow the Nazi troops to mediate disputes between German-Czech relationships in German dominated provinces in the midst of the land of a Czech sovereign state. Within one year, the Czech government, one of the strongest military governments with protected mountain range barrier protection, was overcome by the German Nazi forces. Consider the American Indians, felt by some biblical scholars to be descendants of the House of Manasseh, who clearly had an undisputed claim to the lands of the United States. Their warriors were destroyed by the great powers of the White Man, but there would have been no consideration to providing them with a sovereign land in the midst of the United States. Instead, the American Indians were hunted, pillaged, and marginalized into Indian tribal land that were non-productive and had no native mineral or water resources. As a people, they were terrorized by the American military and eventually subjugated them when the last of their tribal chiefs, Chief Geronimo, was captured and subjected to traveling America in a “pay for view” exhibition to demonstrate American power and prowess. Within the land of Israel, 20% of the populations of Israel are non-Jews of Arab descent that are the descendants of the 156,000 that remained before the War against Israel by the Arab States in 1948 had started. On the heels of the battle against Great Britain, when the Israeli Freedom Fighters called the Irgun finally destroyed the British Mandate and gained control over the land promised to them by the world government in order to provide a national homeland for all people. The international mandate to provide a homeland for the Jewish people began with the 1917 Balfour Declaration, recognized on April 24, 1920 by the post-World War I Allied Supreme Council with the signing of the “San Remo Resolution” in St. Remo, Italy. The authors of this document declared that this was “the foundation document of the State of Israel, a legal existence of which is directly traceable from that document”. Yet, the Jewish people were unable to exercise their sovereignty because the British government, descendants of the House of Ephraim, prevented the Jews from populating and governing their own national land for 28 years. Not only that, the British Mandate for Palestine was created to give the Jewish people a new homeland in their native land. It was later incorporated into American law in the year of 1924. Of most interest, according to the provisions of the American law, as voted on by America, this mandate that was to provide a homeland for the Jewish people "was a constitution for the projected Jewish state that made no provision for an Arab state and which especially prohibited the partition of the country." With the abrogation of the Obama administration in the United States to deny the Jewish people, as the only people in the entire world to build homes and live in the regions of Shomron and Judea, sets up a precedent unknown in international law. Americans, Europeans, Japanese and Chinese can buy land and build homes in these regions but the Jewish people who have already established mortgages and built homelands are now threatened by the international courts to be exiled from the lands that have international recognition to be their national homeland. Today, 20% of the population of Israel are Arabs of non-Jewish descent. 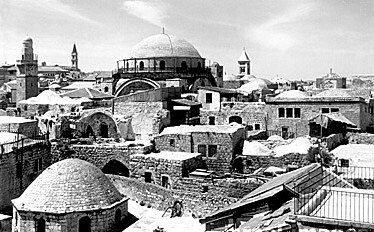 Of the original populations of 950,000 Arabs living in the land of Palestine prior to the Israeli War of Independence first against Great Britain and later a coalition of five Arab States who sought to destroy the institution of this Israeli homeland, 85% of the Palestinian Arabs fled or were expelled by their own Arab leaders against the wishes of the Jewish leader before or in the aftermath of the 1948 Arab-Israeli war. Of the 156,000 Arabs that remained, they were not expelled, their mosques and houses of worship were preserved and a majority of Arab Palestinians who chose to assimilate into the Israeli economy were given citizenship within the State of Israel. They even had the privilege of having their own representation in the Israeli Knesset. Today, they are a viable part of the Israeli economy. Today their Arab descendants form 20% of the Israeli population. It was estimated that in the year of 1948, 881,000 Jews lived in the Arab countries of Morocco, Algeria, Tunisia, Libya, Egypt, Iraq, Syria, Lebanon, Yemen, and Aden. According to an article by Professor Ada Aharoni titled, “The Forced Migration of Jews from Arab Countries” it tells a more enlightening history. Professor Ada Aharoni – “The vast immigration of Jews from the Arab countries has been termed "The Second Exodus"2. The State of Israel served as a natural refuge for the majority of Jews from Arab countries. Some departed independently, others were involved in massive rescue organized by the local communities and the Israeli authorities. Outstanding examples are the Jews of Yemen and Iraq, who were airlifted en masse to Israel between 1948 and 1951. Similarly, the Jewish community of Libya was almost entirely relocated to Israel. A total of 586,269 Jews from Arab countries arrived in Israel3 with at least 200,000 emigrating to France, England and the Americas. Including their offspring, the total number of Jews who were displaced from their homes in Arab countries and who live in Israel today is 1,136,436, about 41% of the total population. At least another 500,000 currently reside in France, Canada, the United States, Latin America and Australia. The high influx of Jews from Arab countries into Israel shortly after its establishment as a state had a significant influence on the demographic make-up of its population. In 1931, only 1 out of every 4 Jews living in the Land of Israel came from Asia and Africa. By 1948 there were still only 70,000 of the latter in Israel, as compared to 253,661 Israeli-born Jews and 393,013 Jews from Europe and America, out of a total population of 716,678 Jews3. In the early 50's the picture changed dramatically. By 1951, Jews from Arab countries made up nearly 30% of the entire population 4. This unusually rapid change in the demographic make-up of the population was due to the thousands of Jews that were pouring into Israel as a result of persecutions in Arab countries. During the years 1948 and 1951, nearly 50% of all immigrants, totaling 387,000 came from Asia and Africa, with a similar number coming, at that time, from Europe and America. During the two-year period from 1955 to 1957, the percentage of Jews from Arab countries arriving in Israel rose to 69%5. In 1955 this group represented 92% of all immigrants. Approximately 100,000 came during those years from Morocco, Algeria and Tunisia6. While 586,000 Jews were forcibly exiled from their homes in Arab countries while their entire possessions, lands, homes, and personal belongings were confiscated by the Arab states, there have been no forced exiles of groups of Arabs by the Israelis that were sent back to their Arab homelands except those who voluntarily fled before the Arab war. Truly there was a loss of property of those not living in the land of Israel, who left prior to the Islamic invasion against the State of Israel in 1948. The Arab lands that was empty and abandoned by the Arabs was transferred the Israeli State according to the new laws of the State that included the Absentee Property Law of 1950 and the Land Acquisition Law of 1953. It was this “Land” that was the “Promised Land” to the Jewish people and eventually the Lost Tribes of the House of Israel. The international pressure forcing the Jewish people to seek policies of Arab exclusion instead of inclusion began with the Oslo Accord. This was a secretly contrived political project by the Papacy in Rome. The agitation of Palestinian nationalism in a land that at the turn of the 20th century was virtually unwanted by most Arabs, except the Bedouins who lived off the land suggest that international fomentation was being prodded along by Rome. This has led to the entire crisis between the Arab and the Jews. According to the Jewish ideal, the G-d of Israel gave this land as a covenant to His chosen ones of the House of Abraham, Isaac and Jacob. Altogether, this entire Land of Israel west of the Jordan River is only about 10% of the entire Arab State possessions in the Middle East. The city of Jerusalem was a forsaken land, even by Allah, and whose name was never memorialized in the Quran. In fact, in the mid 19th century, this land of Israel was virtually ignored by Arabs. The existential facts remain, the Arabs have not remained as a peaceful element that wish to cohabitated and collaborate with the Jewish people in creating a harmonious environment for both peoples. Money cannot buy, nor do weapons and military training provide the necessary ingredients for peace and harmonious coexistence. Divine destiny give the Jewish people the will to struggle even over decades, and the will to persevere. The history of the two maps above provides that testimony. Without a vision of a future, the gradual reclamation and redemption of the land for Jewish possession would never have been accomplished. It was not provided for by American weapons and technology for the Israeli culture is a culture of life, and the Islamic culture of a culture of possession or death. Millions of pages have been written about the millennium long feuds within the House of Abraham. He had two sons, one by his real wife and one by his secondary wife. The child Isaac, of the first wife Sara, was destined to receive the family inheritance and blessing. The child Ishmael was born to Abraham’s surrogate wife, his concubine, Hagar the Egyptian. Ishmael was destined to father a great people by twelve sons, while later the son of Isaac, Jacob, later named Israel, was also destined to father also twelve sons, who establish many nations and empires. Power, greed and control shattered a family harmony that now today threatens the world to the brink of nuclear annihilation. Is there a way out of this global chaos? Without a Messiah and the destruction of all the provocateurs of evil, death and destruction, there will be no peace. Underneath all the peace according are the secret desires of genetic hatred and greed. As the maps give testimony, for the last sixty years, the G-d of Israel has given His signature that He is fighting with His own people. What other testimony or evidence do we need? The days of the settling of the Anglo-Saxons now appear to be about over. Again they no longer have an identity. The Isle of Britannia that was named after them, “Engla land” or “Ængla land” later became the renown British Empire whose lands upon which it ruled, the sun never set, from the English Isles to China and Australia. On December 1, 2009 with the final ratification of the European Union, this left England, the former Great Britain, with her sovereignty gone and her sovereign borders dismembered to be parceled to five or six different regions in Europe. Telegraph UK - “We woke up in a different country today. Alright, it doesn’t look very different. The trees still seem black against the winter sun; the motorways continue to jam inexplicably; commuters carry on avoiding eye contact. But Britain is no longer a sovereign nation. At midnight last night, we ceased to be an independent state, bound by international treaties to other independent states, and became instead a subordinate unit within a European state. The days of the redemption of the literal House of the Tribe of Ephraim are about to begin. She has lost her estate where she settled after a long wandering. The projected pole shift by the Pentagon Report of 2003 on Global Warming may leave the former Great Britain encased in ice in a Siberian like climate in Northern Europe. A new awareness and identity will be resurrected within the hearts and minds of the Lost Tribe of Ephraim for the G-d of Israel will be calling her home. When the Messiah comes to claim her own, the prophets of Israel and Judah predict that Ephraim’s descendants will be living in the lands of their former inheritance. They are today, the disputed “territories” the United Nation’s Quartet desires to give to Ephraim’s (Anglo-Saxon’s) archenemies in the days of Kings Saul and David, the Philistines, now known as the Palestinians. Destiny always has strange twists and the G-d of Israel is the Guiding Force of all destinies. The Tribal Members of Ephraim are the descendants of the youngest son of the famous Viser of Egypt, Joseph the son of the Patriarch Jacob (Israel) and Asenath, the daughter of Potiphera of Egypt. Though he was the youngest of the two sons, the Patriarch Jacob “crossed over his arms” when he gave the “Blessing of the birthright” and put his hand on the head of Ephraim, the youngest. Not only that the G-d of Israel gave the Tribe of Ephraim the distinction to be the noted leader of the Lost Tribes of the House of Israel and at the time of the end, the name of “Ephraim” would become synonymous with the entire Lost Ten Tribes of Israel. Today, the name of “Ephraim” along with the Name of G-d can also be seen by a Satellite orbiting in the heavens as etched in the contours of the mountains to the North of the City of Jerusalem, the capital of the State of Israel. This fact was first recorded by Vendyl Jones, the American archeologist and “hunter” of the Lost Ark of the Covenant, and later reported by Brit-Am, by the noted Israeli scholar, Yair Davidiy. The satellite photograph at the top of the page depicts the Hebrew script written in the mountain lines, the name of Ephraim. The picture starting at the left is to the north of Jerusalem. As one heads south, moving from the left to the right, you head towards the Holy City and capital of the United Kingdom of Kings David and Solomon called Jerusalem. Not only that, this mountain range is located in the lands given to the Tribe of Ephraim by the G-d of Israel as their ancestral homeland - forever! In the fourth and fifth centuries, the Island of Britannia was colonized by the Germanic tribes of the Anglo-Saxons, a land that was already populated in the western part of the Isle in Wales and Cornwall by the Cymric Tribes of Simeon and Dan. Is it not amazing that Great Britain was colonized by the Tribe of the Engels, which in Hebrew is the name for a heifer cow - the tribal symbol of Ephraim. They later became known as the Angles, then Anglo, and when coupled with the Tribes called the Sakai, Sacae, Sagetae, Sakki, Scyths, Scythians, Scuths, Scuits, Sakki or Isacci (sons of Isaac) in the days of King Darius in Persia, they then became known as the Anglo-Saxons. The prophets also foretold the Tribe of Ephraim, along with all the other Lost Tribes of the house of Israel will return to the ancestral homes of their forefathers at the time of the end. The Prophet Obadiah proclaimed that the destiny and fate of Edom Rome at the hands of the House of Joseph when G-d’s wrath against the House of Esau will come to its final completion. Obadiah 18 – “But on Mount Zion (Jerusalem) there shall be deliverance, and there shall be holiness; The House of Jacob (all the Tribes of Israel) shall possess the land of their forefathers (possessions). Evoking the honor of His Holy Name, HaShem, the G-d of Israel pronounced His final judgment upon the Lost Tribes of the House of Israel – redemption from exile, reclamation from the lands of their final wanderings in Northern Israel and America, and restoration to the lands of their forefathers in the Galilee, Shomron regions west and the Basham and Gilead to the east of the Jordan River. That “Day of the Lord” appears to be soon – within another Sabbatical Week of Seven Years. A gold strip with a Biblical inscription was among the 1,500 pieces unearthed in an English field. And let them that hate thee, flee from before thy face." LONDON, England (CNN) -- A man using a metal detector in a rural English field has uncovered the largest Anglo-Saxon gold hoard ever found -- an "unprecedented" treasure that sheds new light on history, archaeologists said Thursday. The hoard includes 5 kilograms (11 pounds) of gold and 2.5 kilograms (5.5 pounds) of silver. That is more than three times the amount of gold found at Sutton Hoo, one of Britain's most important Anglo-Saxon sites, said the local council in Staffordshire where the latest haul was found. It's an "incredible collection of material -- absolutely unprecedented," said Kevin Leahy, an archaeologist with the Portable Antiquities Scheme, a voluntary group that records finds made by members of the public. "We've moved into new ground with this material." Because the find is so large and important, experts haven't been able to say yet how much it is worth. They hope to make a valuation within 13 months, Staffordshire Council said. The hoard was discovered in July by Englishman Terry Herbert, who was using a metal detector he bought more than a decade ago in a jumble sale for only a few pounds (dollars). He belongs to a local metal detecting club in Staffordshire and was just out enjoying his hobby when he made the find. There was so much gold at the site that Herbert said he was soon seeing it in his sleep. "Imagine you're at home and somebody just keeps putting money through your letterbox. That's what it was like," Herbert told Britain's Press Association. "As soon as I closed my eyes I saw gold patterns. I didn't think it was ever going to end." Herbert found 500 items before he called in experts, who then found a further 800 articles in the soil. Officials aren't saying exactly where the gold was found, other than to say it was in Staffordshire, in north-central England. "Pieces were just literally sat at the top of the soil, at the grass," said Ian Wykes, of the county council. He said the hoard had been unearthed by recent plowing. Most of the pieces appear to date from the 7th century, though experts can't agree on when the hoard first entered the ground, Staffordshire Council said. Golden Lost Tribe of Israel Anglo-Saxon Scabbard Boss with Inlaid Garnets - Birmingham Museum and Art Gallery - – Courtesy of The Staffordshire Hoard Website. The pieces are almost all war gear, Leahy said. There are very few dress fittings and no feminine dress fittings; there are only two gold buckles, and they were probably used for harness armor, he said. Sword hilt fittings and pieces of helmets, all elaborately decorated, are among the more remarkable finds. "The quantity of gold is amazing but, more importantly, the craftsmanship is consummate," Leahy said. "This was the very best that the Anglo-Saxon metalworkers could do, and they were very good. Tiny garnets were cut to shape and set in a mass of cells to give a rich, glowing effect; it is stunning." The items belonged to the elite -- aristocracy or royalty, he said, though it's not clear who the original or final owners were [The Anglo-Saxons came from the Israeli Germanic tribes of the Engle (Heifer Banner of the Tribe of Ephraim) Sakki or Sachi (Sons of Isaac) known as the Anglo-Saxons] why they buried it, or when. "It looks like a collection of trophies, but it is impossible to say if the hoard was the spoils from a single battle or a long and highly successful military career," he said. More work will help determine how the hoard came to be buried in the field, Leahy said. Many of the objects are inlaid with garnets, which Leahy called "stunning" and "as good as it gets." The filigree on the items is "incredible," he said. Some are decorated in an Anglo-Saxon style consisting of strange animals intertwined with each other. That decoration appears on what is believed to be the cheek-piece of a helmet, decorated with a frieze of running, interlaced animals. A strip of gold bearing a Biblical inscription in Latin is one of the most significant and controversial finds, Staffordshire Council said. One expert believes the lettering dates from the 7th or early 8th centuries, but another is sure it dates from the 8th or 9th centuries.The inscription, misspelled in places, is probably from the Book of Numbers and reads: "Surge domine et dissipentur inimici tui et fugiant qui oderunt te a facie tua," or "Rise up, O Lord, and may thy enemies be dispersed, and let them that hate thee, flee from before thy face." Regardless of the exact date, the hoard is certainly from a period of great turmoil, when kingdoms with tribal loyalties battled each other in a state of perpetual warfare, experts say.The land was also split along religious lines. Christianity was the principal religion, having gained ground at the expense of local pagan forms of worship, experts said. At least two crosses are among the items in the hoard. The largest is intact, though it has been folded, possibly to make it fit into a small space prior to burial, Staffordshire Council said. The folding may mean it was buried by pagans who had little respect for the Christian symbol, but it may have also been done by Christians who had taken it from someone else's shrine, experts said. The hoard will likely help rewrite history, experts said. "Earlier finds will be looked at in the context of what we find amongst this mass of material," Leahy said. Said Leslie Webster, the former keeper of the Department of Prehistory and Europe at the British Museum, "This is going to alter our perceptions of Anglo-Saxon England." Excavation of the field where the hoard was found is now complete, and all items that were found are being held at the Birmingham Museum and Art Gallery. The most important objects will go on exhibit from Friday until October 13, after which they will go to the British Museum in London for valuation. Once the items have been valued, Staffordshire Council said it hopes a selection of the pieces can go on temporary display at the Potteries Museum and Art Gallery in Stoke-on-Trent. Once the hoard is sold, the market value of the find will go to Herbert and the owner of the field where the hoard was discovered. The pair have agreed to split the amount. Israel Antiquities Authority – “Dr. Tali Erickson-Gini of the Israel Antiquities Authority: “The Hasmonean king Alexander Jannaeus conquered Gaza and the Negev and for decades prevented the Nabataeans from using the Incense Road.” According to a recent important archaeological and historical discovery, the Hasmoneans also controlled the Negev. Researchers at the Israel Antiquities Authority are currently processing finds from archaeological excavations at sites located along the “Incense Road” in the Negev that were previously excavated by Dr. Rudolph Cohen of the Department of Antiquities. One of the sites that were excavated was Horvat Ma'agurah, which is located on a ridge, c. 3.4 kilometers west of the Sede Boqer region. The site is situated at a strategic point that overlooks Nahal Besor where the famous “Incense Road” ran, which connected Petra with Gaza. It was along this road that the Nabataeans transported precious goods such as myrrh and frankincense to the Mediterranean Sea and Egypt. An analysis of the finds has revealed that after Gaza was conquered in 99 BCE, King Alexander Jannaeus – the great-grandson of Matityahu the High Priest – built a fortress with four towers inside an earlier Nabataean caravanserai. With the aid of this fortress he was able to halt any Nabataean activity along the Incense Road and in effect force them out of the Negev. It was because of the fortress’ shape that archaeologist, Dr. Rudolph Cohen assumed at the time it was a stronghold from the Roman period (end of the third century CE). But a new analysis of the artifacts which were discovered inside the fortress, and the architectural features of the fortress itself, has led to the unequivocal conclusion that the fortress is Hasmonean. According to Dr. Tali Erickson-Gini of the Israel Antiquities Authority, who is the scientific editor of the excavation, “We are talking about a revolutionary discovery that will redraw the maps of the region which describe that era and greatly increase the territory governed by the Hasmoneans into the heart of the Negev Highlands as we know it. This is an important discovery from an archaeological and historical standpoint. Despite the evidence of the historian Josephus, according to which King Alexander Jannaeus conquered the southern coast of the Land of Israel and the harbor in Gaza (which was of paramount importance to the Nabataeans) and even further south, no clear archaeological proof of this has been found in the field. And it was because of this lack of proof that historians were inclined to dismiss the possibility that the Hasmoneans did indeed control the Negev”. It is now clear that the Hasmoneans kept hold of the fortress located on the Nabataeans’ principal trade route until the year 66 BCE, and by means of it, prevented any movement by their Nabataean enemies along the road between Halutza and Northern Sinai. Such a move cut off the trade route between Petra and the ports and in fact commerce in the region received a fatal blow that halted trade through the Negev for several decades. The discovery also reinforces the claim that another Nabataean site – Nessana, where a multitude of coins of Alexander Jannaeus were discovered, was ruled by him. “Another interesting fact”, says Dr. Tali Erickson-Gini of the Israel Antiquities Authority, “is that the army that Alexander Jannaeus engaged was for the most part a mercenary force that was composed of non-Jewish soldiers. We were able to confirm this based on the imported vessels that were found alongside the Jewish vessels there, and from the wine that was brought there from abroad. Apparently Alexander Jannaeus and his widow Queen Salome Alexandra could not depend on Jewish soldiers because of the sharp political divisions that existed among the people”. After sanctification (to be set apart from sin and made holy), it is difficult to state what your aim in life is, because God has taken you up into His purpose by the Ruach HaKodeh (Spirit Manifestation of G-d); He is using you now for His purposes throughout the world as He used His Son for the purpose of our salvation. If you seek great things for yourself – G-d has called me for this and that; you are putting a barrier against HaShem’s usefulness for you. As long as you have a personal interest in your own character, or any set ambition, you cannot get through into identification with the divine interest of the G-d of Israel. You can only get there by losing for ever any idea of yourself and by letting G-d take you right out into His purpose for the world, and because your goings are of the Adonai (Lord), you can never understand your ways. I have to learn that the aim in life is aim of the Almighty One, not mine. HaShem (“The Name”) is using me from His great personal standpoint, and all He asks of me is that I trust Him, and never say – Adonai (Lord), this gives me such heart-ache. To talk in that way makes me a clog. When I stop telling God what I want, He can catch me up for what He wants without let or hindrance. He can crumple me up or exalt me, He can do anything He chooses. He simply asks me to have implicit faith in Himself and in His goodness. Self pity is of the devil, if I go off on that line I cannot be useful for the purposes of the Holy One in our world. I have "a world within the world" in which I live, and G-d will never be able to get me outside it because I am afraid of being frost-bitten.